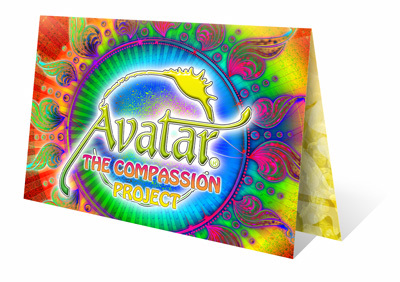 Ten million Compassion cards given to strangers. In Process! Over six million cards are in circulation, so far! Albanian, Arabic, Catalan, Chinese, Croatian, Czech, Dutch, English, Farsi, French, German, Greek, Hebrew, Hindi, Hungarian, Icelandic, Indonesian, Italian, Japanese, Korean, Maori, Macedonian, Norwegian, Polish, Portuguese (Brazilian), Portuguese (Portugal), Romanian, Russian, Serbian, Slovenian, Spanish, Swedish, Thai, Turkish, Urdu and Vietnamese.